A San Francisco Police Department squad car is seen in this file photo. 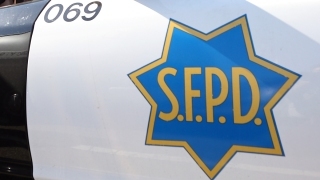 Residents in San Francisco's Tenderloin were ordered to shelter in place Tuesday afternoon after someone found a possible explosive device and brought it to the police substation in the area. A bomb squad also responded to the scene. The shelter in place was lifted before 1:30 p.m.
UPDATE - Avoid the Area / Shelter in Place ADVISORY LIFTED - Expect residual traffic delays.